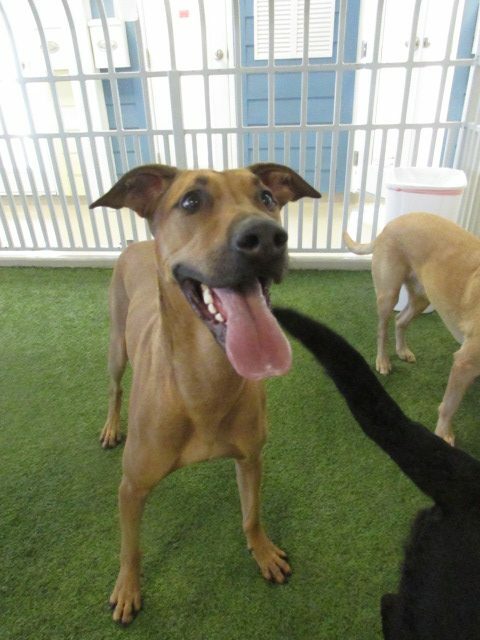 Meet our Pooch of the Week, Rufus! 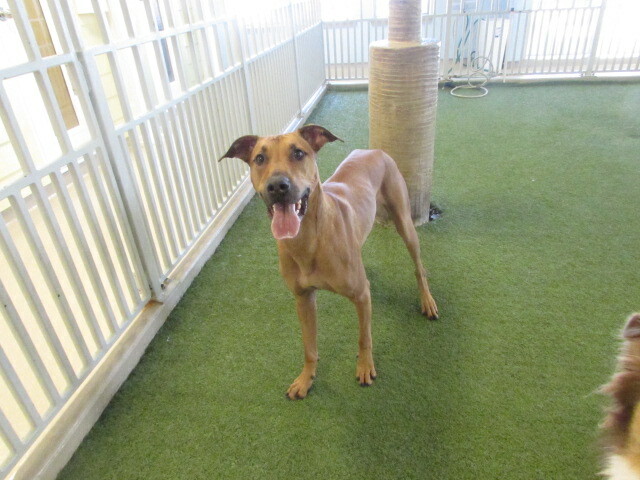 Rufus is a two year old Hound Mix and has more energy than five puppies combined! 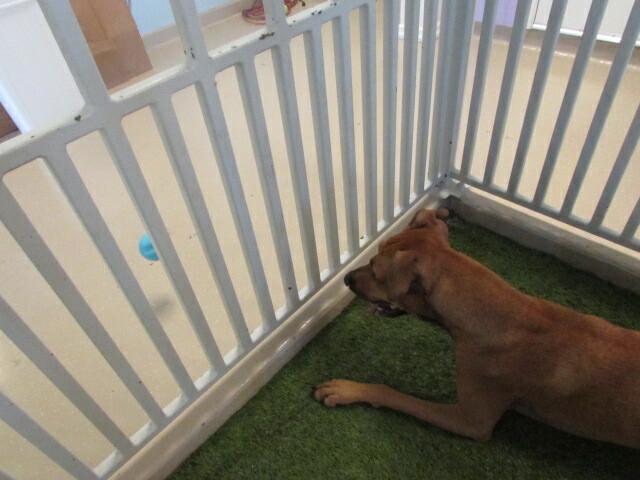 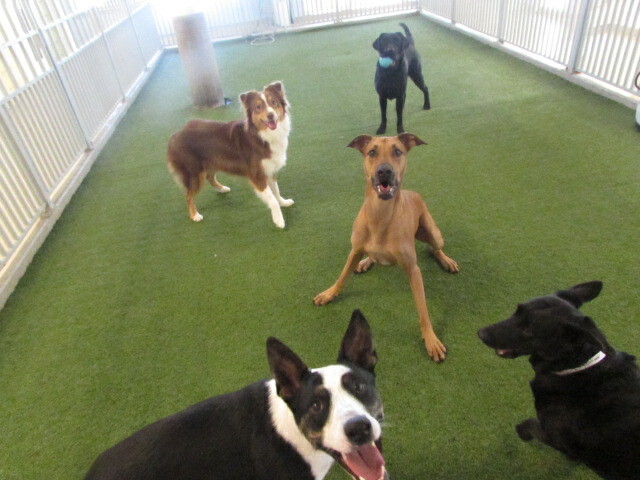 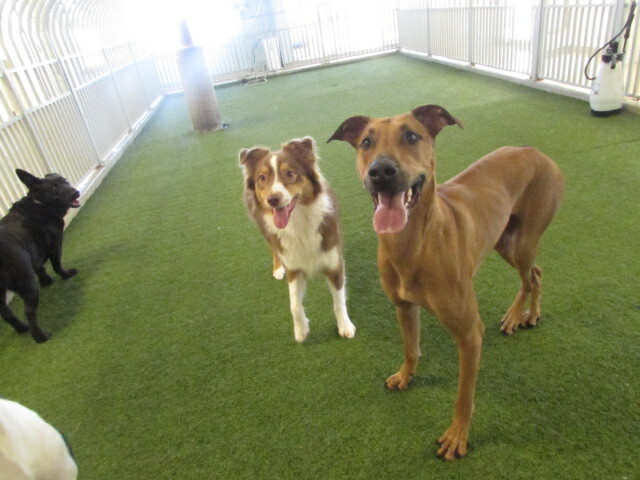 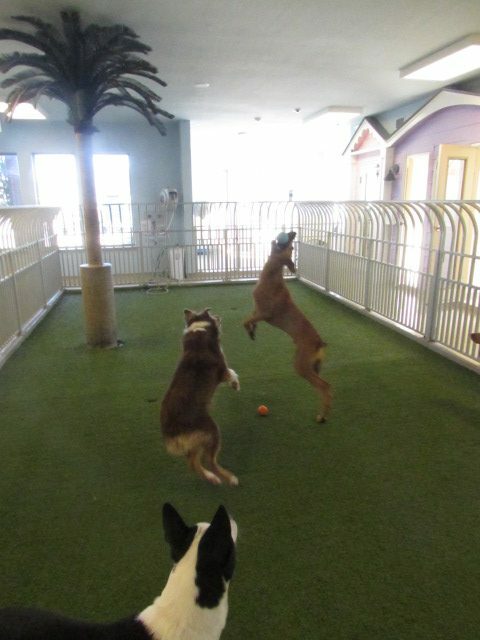 He is one of the sportiest dogs in play care. 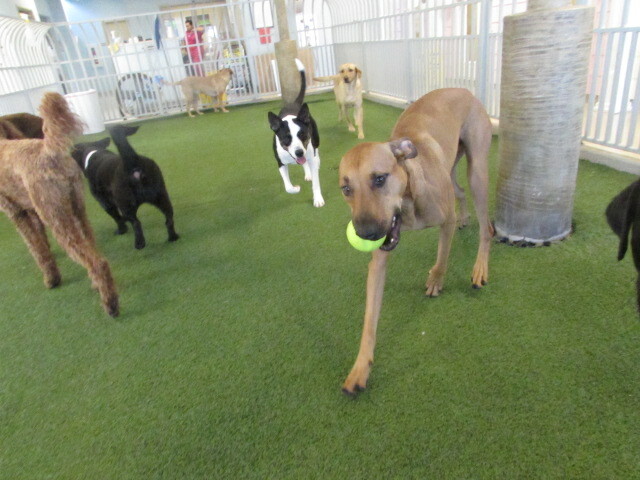 If you throw a ball, Rufus will jump, spin, and out run anyone to catch it. 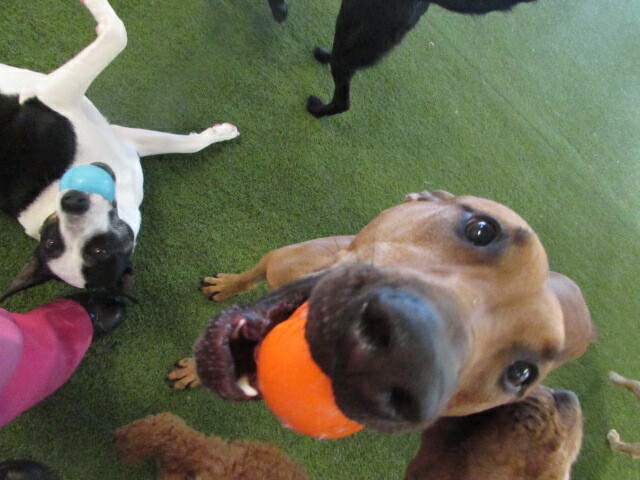 When play care is over, Rufus puts on his big puppy eyes, falls over, and plays dead so he can keep playing! 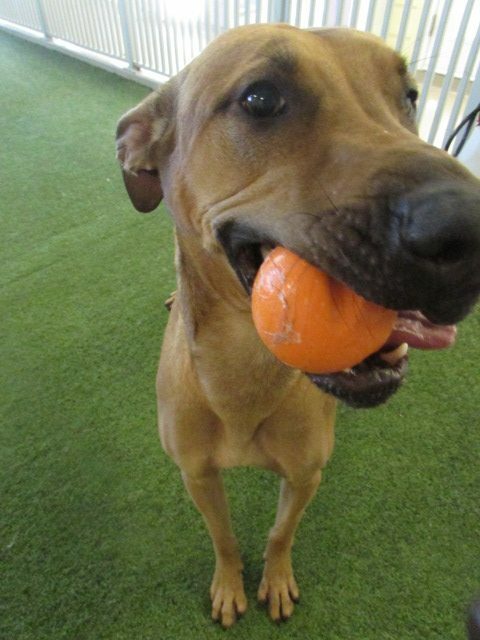 This big boy is all muscle but gives big hugs and kisses, too. 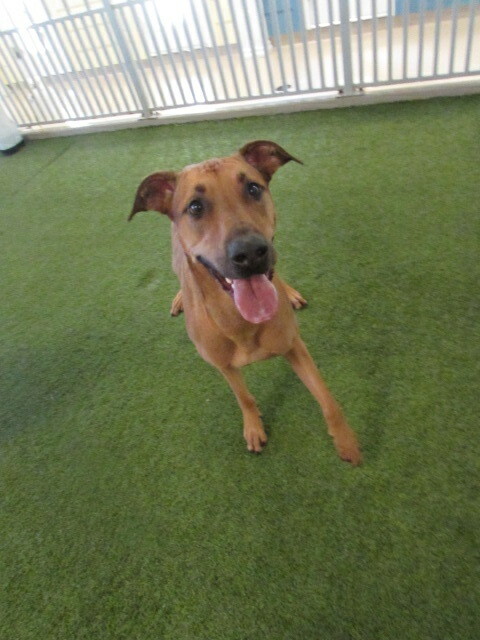 Rufus is such a sweetie and we love him lots!